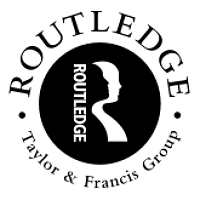 Routledge is the world's leading academic publisher in the Humanities and Social Sciences. We publish thousands of books and journals each year, serving scholars, instructors, and professional communities worldwide. Our current publishing programme encompasses groundbreaking textbooks and premier, peer-reviewed research in the Social Sciences, Humanities, and Built Environment. We have partnered with many of the most influential societies and academic bodies to publish their journals and book series. Readers can access tens of thousands of print and e-books from our extensive catalogue of titles. Routledge is a member of Taylor & Francis Group, an informa business.